If you saw last month’s Filipinos in Boston interview, Christine Leider gave you a small hint of who we’d be covering this month. Thanks for the segway, Christine! I was trying to remember how I first heard about Jennifer “J.J.” Javier so that I could do a proper introduction, but honestly, I think we’ve just been on a mutual friend’s personal Filipino meetup list, and never actually crossed paths (besides me looking her up after the last event). So last week JJ and I finally jumped on the phone to chat, and well here’s about a half of what we talked about. Don’t be surprised if her name comes up again in future blog posts! J.J.: I’m originally from Long Beach, California but my family moved around southern CA when I was growing up. So we lived in Long Beach for awhile, Riverside, and Irvine. However my parents are originally from the Philippines. My mom is from Manila, and my stepfather is from Cavite. J.J.: I work at 826 Boston, which is a youth writing and publishing center that serves underserved students by empowering them to find their voices and tell their stories. This way we can really uplift marginalized stories and voices, and also support students in gaining key communication skills. I manage the volunteer program here, which is about 700 volunteers across our different programs. Volunteers are the lifeblood of our organization, and do everything from tutoring to editing books to working on our physical space and more. As I was researching you for this interview, I landed on your LinkedIn page and saw you had a degree in Criminology, Law, and Society. Can you walk me through a little of your journey, from getting a degree like that to moving into a program like City Year and then paving a path for yourself in nonprofits? J.J.: I decided to study criminology, law, and society because I was very interested in social justice. I really wanted to provide a level playing field for those that don’t have access to the privileges that other people have. I really wanted to work in that realm very early on. My parents, however, had a very strict route for me. They wanted me to have a more traditional role like a nurse or a doctor, and if I wasn’t going into medicine I better be going into something equally prestigious. So for a really long time I thought, maybe I’ll be a lawyer or a forensics psychologist. Neither of those things really interested me, but those were professions that pleased my parents at the time. Criminology was the core of all that. I loved the major though, and I don’t regret taking those classes at all. But I realized in year 4 (of 5) that I didn’t want to become a lawyer, even though I was on track to becoming one. I had taken the LSATs. I started to get references for different law schools. And then I freaked out and realized I couldn’t spend 3 more years living out a dream that wasn’t my own. So I decided to apply for a gap year program. I had heard about different programs through school like AmeriCorps, the Peace Corp, and City Year. I applied to City Year and chose Boston because I had never been to Boston before, and it was the farthest away I could get from California without leaving the country. I had to distance myself from my parents and their dreams for me. When I got into the City Year program, I joined with very little support from my family. I thought I would get some congratulations, but my mom was livid when I got accepted. She asked me how I was going to pay for everything, but I managed. So I did a year of City Year with the little I had in savings, and I found that I really love working with youth and civic engagement. City Year is dedicated to civic engagement, and shaping youth to become civic leaders. I really latched onto that because I think there’s something really beautiful about community service. You don’t have to have a degree, or look a certain way. All of that doesn’t matter when you are volunteering, you know, when you’re deciding to reserve some of your time to help others. And serving others looks different to different people. It can be a formal thing like beautifying a park, or it could be bringing dinner for a friend that’s in the hospital. The idea of taking care of one another needs to be fostered more in youth, despite who you are, or whether or not you have a degree, despite whether or not you speak English, or you’re this race or that. I wanted to get to the heart of that. And that’s why I’ve been on this path working towards social justice. And so after City Year I worked at Cradles to Crayons, and then Tenacity for a few years managing their AmeriCorps program. I found my way to 826 Boston because of their focus on literacy, and their mission around lifting up marginalized youth. I used to read dozens of books growing up, and my mom used books as a way to learn English, so literacy hits close to home. Books really shaped me as a person. J.J.: I love Shabu Zen, which is a hot pot place in Chinatown. And I really like Pho Pasteur, which is also in Chinatown. Boston does really well with pho options because of the awesome Vietnamese population. Bukhara in Jamaica Plain is a really great Indian place. If you love steak, I love Boston Chops for special occasions. I also love Merengue in Dorchester, which is a Dominican restaurant. It’s fantastic and they do a lot for the community. What are some cool Boston-based nonprofits in the city that you think people should know about? J.J.: Ah, there are so many really great nonprofits in the city. There’s an amazing nonprofit called Urban Improv which is in Jamaica Plain, but they also serve Boston Public School students. They use life skills in theater, so they do improv with students and talk about real life things like teen pregnancy, drugs, sexuality and things that people / parents are afraid to talk about. Through the program students learn to navigate those issues in a healthy way. Another non-profit / organization is Haley House. They do a few different things. There’s a residency program, they have a cafe, job placement for people that have barriers to entry, as well as tutoring. I love them because they’re local, they help people with job skills, and they make awesome food and host events like poetry slams. Another organization I want to plug is ASPIRE (Asian Sisters Participating in Reaching Excellence). During my early years in Boston, I made some really amazing friends through ASPIRE. They’re working on some really great programs. J.J.: It’s impossible to name just one, but growing up I would always request mechado (tomato base beef stew). I have an aunt that makes it really well. When I was sick, I would ask my mom to make tinola (chicken soup). But I really love it all! J.J.: I make afritada (chicken and vegetable dish with a tomato base) for friends that have never had Filipino food before. The first time I made afritada I looked at a recipe, but was like eh, so I called my mom. I used the recipe for measurements but got advice from my mom for ingredients. Do you have any upcoming events / programs that you want to highlight? Are there ways for our readers to get involved with 826? J.J.: Like I mentioned, volunteers are the lifeblood of 826, so we’re always looking for people to get involved. We hold information sessions twice a month (they have 2 info sessions coming up - August 8th and August 21st), both in person and remote. If anyone wants to help our students with writing, creative writing, storytelling, they can attend those info sessions. Something really exciting that’s happening this year is that we’re opening up satellite writing center in the Boston International Newcomers Academy, which is a high school for immigrant students. All the students immigrated to Boston within the last 5 years, some within the last few months. The school’s amazing, and we’re excited to have a writing center there so we can work with them and publish some of their stories as well. If people want to get more involved with that project, they can also learn more at our info sessions. J.J.: If people want to get involved with 826 Boston, they can email me at jennifer@826boston.org, and they can follow 826 on Instagram, Facebook,and Twitter. This month’s interview with Christine Leider is brought to you by the good ol' Twitterverse. 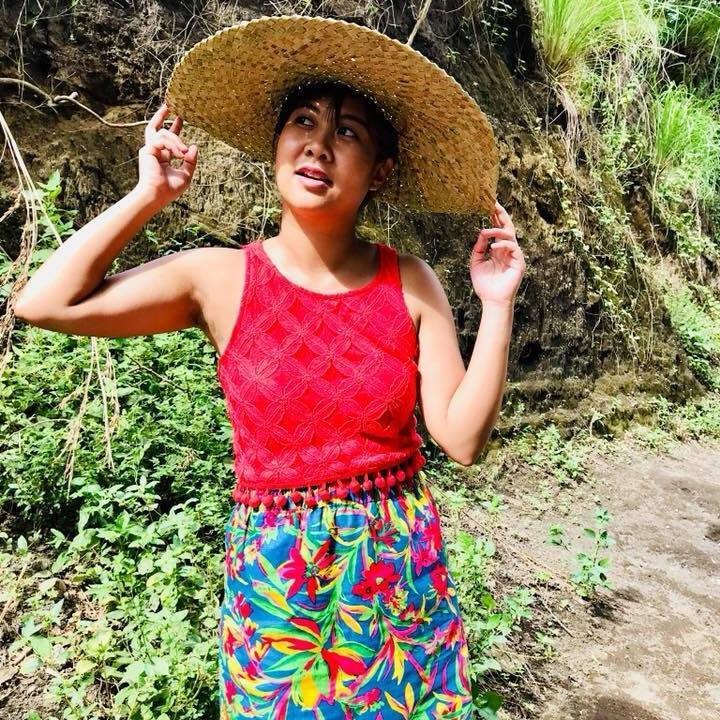 I’ve never met Christine, but when I was scrolling through the BOSFilipinos Twitter feed a couple months ago, her account caught my eye: Filipina American and ate (Tagalog for older sister). I clicked through to her professor profile, and thought her work was super fascinating. I’m so thankful to Christine for taking time to do an interview with me, and I hope you all enjoy getting to know another awesome Filipino in Boston! Christine: My family is Bisayan. Both of my parents are from Cebu; my mom is from Cebu City and my father is from Sogod. My siblings and I are second generation immigrants, born and raised in Ketchikan, which is an island in southeast Alaska. There is actually a relatively large Filipino population in my hometown; and my family has always been active with the Filipino Community Club. There’s a brief article that the This Filipino American Life podcast did about southeast Alaska, and when they reference Ketchikan they refer to Diaz Café – Ninang Clara is my godmother! Christine: I am a Clinical Assistant Professor in the Wheelock College of Education and Human Development at Boston University. I’m a former ESL teacher and my work as a teacher educator involves working with pre-service teachers who are preparing to teach bilingual and immigrant students in PK12 (pre-K to 12th grade) public schools. I also do research on bilingual and immigrant student language and literacy development. A lot of what I do centers on anti-racist perspectives and pedagogy and equity in education. I feel really fortunate to love what I do. Working with teachers and students is my favorite. What motivated you to center your work on bilingual education? Christine: I think it’s a bit personal, growing up in an immigrant family. I wish I could speak Bisaya. We’d speak it when I was younger and I understand when I hear people speaking Bisaya and Tagalog, but I can’t really talk back as much as I would like. My parents really wanted me (and my siblings) to focus on English. English was viewed as the pathway to success. That’s actually quite common among many immigrant families in the US, and not unique to my own experience. Research and census data document an intergenerational language shift among many immigrant groups such that by the third generation, children are monolingual English speakers. Language is definitely a part of heritage and identity, and it’s so unfortunate that society pushes so much emphasis on English. I’m not saying English isn’t important, but students shouldn’t have to give up their home language for it. There’s a lot of misconception around language development and bilingualism – and of course the power associated with English dates back to colonialism. I could go on about this forever. Anyway, I love working in bilingual education because it’s about breaking down these misconceptions about language and bilingualism, empowering bilingual and immigrant students and families, and working with teachers and communities to better support culturally and linguistically diverse learners. Christine: I moved to Boston in 2008 to attend graduate school at Boston College. I think I “became” a Bostonian when I bought my first Red Sox hat in 2009. Or maybe in 2010 when I first met my now husband – he’s from the Boston area. To be honest, when I first moved here I had no intention of staying in Boston, or Massachusetts for that matter, but here we are 10 years later. I love it, I just wish I was closer to family and that lumpia was easier to find. Christine: l love eating in Chinatown, especially hot pot – I’m partial to Q Restaurant because the a la carte menu includes both tripe and tendon. My dad would always make this dish, that was kinda like a menudo, with tripe, tendon, and beef tongue. I also like dim sum on the weekends at Hei La Moon, the spareribs taste really similar to something my mom would make. I grew up on an island, so I love sitting near water, and I also grew up in a small town so I have a thing for food courts, because we just didn’t have those where I grew up. So this is pretty touristy-cheesy, but I really like to get something to eat from Faneuil Hall and then walk over to the waterfront and eat over there. When I’m not eating, I enjoy walking around the city with my husband or reading a book in the Common. I can also be found grading and writing at various coffee shops in Boston, Cambridge, and Somerville. Are there any Boston-based programs that people should know about to work in / volunteer for / learn more about the kind of work you do? Christine: Have you heard of 826Boston? They do awesome literacy work with Boston Public Schools – and their Volunteer Manager is a fellow Filipina! More specific to my own line of work, this is more at the State level, but I sit on the MATSOL (Massachusetts Educators of English Language Learners) Board of Directors, which is a non-profit dedicated to promoting excellence and equity in the education of bilingual students in Massachusetts. There’s lots of opportunities to get involved in different ways through MATSOL and other organizations like MABE (Multistate Association of Bilingual Education, formerly the MA Association of Bilingual Education) and MIRA (Massachusetts Immigrant and Refugee Advocacy Coalition), especially if you are a teacher and / or advocate for bilingual and immigrant students. Christine: Connecting like-minded people with each other. Christine: Lechon baboy. Hands down. Also lumpia shanghai. I was pescatarian for a good amount of time, which was cool and all, but didn’t jive well with the Filipino diet. I think my family was pretty relieved when I started eating meat again, especially pork. Christine: “Filipino breakfast” aka a fried egg, white rice, and some sort of pork or corned beef. I could eat that for every meal. When I was in college I would often make bacon and then eat it with a fried egg and rice. To me, it was just “breakfast,” but my roommates would always call it “Filipino breakfast.” That’s more of a meal though. As far as preparing a dish, I think I enjoy making pancit the most. Primarily because I’d make it with my mom. I think it might have been one of the first things I learned to cook. Speaking of pancit, did you know there’s this children’s book, Cora Cooks Pancit, that is all about a Filipina-American making pancit with her mom? I wish I had that book when I was younger. Do you have any upcoming events / lectures / program that you want to highlight? Christine: It is currently summer, so I’m trying to keep a low profile right now! When the school year starts up though, I am the Faculty Advisor for the Bilingual Education student club in the Wheelock College of Education at BU and the club often hosts several social and informational events on education, advocacy, and bilingualism. Feel free to join us, I post event information to my Twitter and Instagram feed. Christine: Follow me on Twitter and Instagram! Thanks so much for the interview! Hat tip to BOSFilipinos contributor Christine Del Castillo for suggesting we interview Virginia Johnson this month. When I used to live in Somerville, I would bike by gather here almost daily. I should’ve known that a Filipina was involved in creating a space that is so warm, welcoming, and vibrant. I hope you all enjoy learning more about Virginia as much as I did! Virginia: I was born in Subic Bay, the old U.S. Naval base. My mom and her 12 siblings all grew up in the province of Bulacan. My grandfather and now my Uncle Jose owned and operated a bottling plant in San Miguel. We moved to Southern California after my younger brother was born. My dad, on the other hand, was born and raised in Eastern Iowa. He enlisted so he could go to college, and it happened to be during the Vietnam War. And he ended up being stationed in the Philippines during the war. Virginia: I am a costume designer for film and television, mostly major motion pictures like Patriots Day and The New Mutants. I’m also the owner of the Cambridge stitch lounge and fabric/fiber boutique, gather here. I wrapped up a film in Bogota, Colombia in late February, so I have been focusing my energy on community activities and workshops at gather here. What motivated you to go from costume designer to entrepreneur? Virginia: I didn’t give up costume designing completely. I just couldn’t. I love working collaboratively, and watching a group of people come together and create something as awesome as a film. And I love telling stories through what people wear. However I also wanted to put down roots, and opening gather here was a way to do that. I’m investing in the community not only by having a brick and mortar store, but by providing employment opportunities, sharing creative knowledge, and passing on the tradition of handcraft to future generations. Working as a freelance designer felt impermanent, while owning and working at gather here, despite the challenges of retail, felt like my forever home. When we opened in February of 2011 I was terrified that I had sunk all of my savings into a hairbrained idea, but we have flourished and even moved to a bigger location in 2016. Well we know you have a great love for makers considering you built a space just for them, but tell me more about your work with your neighborhood and the greater Boston community through the shop’s “We Care Wednesday” initiative. What are some of the non-profits that you’ll be focusing on this summer? Virginia: After the 2016 Election I wanted to just hole up and hide, but my responsibilities to gather here were too important. So I found comfort just going in, helping people with their projects, and sewing in the studio. In the quiet of sewing it became clear that the collective “we” would have to step up and support the programs that are essential to our communities. Since there’s already a Giving Tuesday we chose We Care Wednesday (we find that people are out of town on Fridays and Mondays so didn’t want to hurt the fundraising efforts in the summer). We created this initiative not just because we, gather here, care but because we, the community of makers, care. Every Wednesday 5% of our profits are collected for a nonprofit that we announce on our blog at the beginning of the month. At the end of the month we tally up the totals and make a donation as We Care Wednesday at gather here. We are currently fundraising for the Pride Youth Theater Alliance since it is Pride Month and I was a theater kid. July’s recipient will be Fenway Health - a former advisee from my years teaching at Tufts worked there prior to starting medical school and with the constant threat of healthcare repeal it is so important. We don’t have a nonprofit selected for August at the moment because we leave one month available every quarter should a specific need arise. In May we raised money for MusicWorks because one of our employees, Sue, is a volunteer for that organization. The elder she was paired with passed away in April and she asked if we would consider fundraising for an organization that had brought her so much joy and friendship. In September the recipient is Y2Y in Harvard Square. It’s the kick-off of another academic year and this student-run shelter is so inspiring! One of my favorite NP’s from 2017 was Girls Rock Campaign Boston. They are doing so much to build up the confidence of girls! They sent us an awesome postcard that we framed. Virginia: I moved to Boston in 2000. I lived in Waltham, right on Moody Street when I first got here. I’ve been here nearly 18 years! That’s the longest I’ve ever lived anywhere! Virginia: I love the Isabella Stewart Gardner Museum. If I knew that the end of the world was at 5 PM tonight I would head to the museum and sit in the atrium. I also really love Fenway Park. I’m a Cubs fan having spent my formative years in the Midwest, but Fenway’s history is so rich. I love all the public spaces in Greater Boston. Walking along the Charles River, the Rose Kennedy Greenway, the Public Garden, and all the small parks and memorials throughout the city. Do you have a favorite Boston-based art project? Either something that was made in your space, or by a maker you know? Virginia: Well, I love Bren Bataclan. And not just because he’s Filipino. I have one of his paintings that my friend commissioned after seeing his work at Christopher’s in Porter Square. She knew I would love it, and I’ve been obsessed ever since. Bren’s Smile Project is international and it comes from the best place - from the heart. Virginia: Space. I created gather here with the intention of reserving space for people and gathering. It was never designed to be filled with product. Currently we are hosting Badass HERstory meetings for people who want to tell their story through fiber for a worldwide craftivism project. When Red Fire Farm lost their CSA pick-up location I immediately volunteered our store. And when the Cambridge Modern Quilt Guild was looking for a meeting space we invited them to take over the back of the shop on the last Sunday of every month. Creating a space that champions community and wants to help people share their stories, I think, is the most valuable gift I can give. Virginia: Pancit. Like I would stop a car for that. Especially for my sister’s pancit. She’s the best cook, and has kept our family’s recipes alive. Virginia: Lumpia. It’s easy and everybody loves it. Seriously, do you know anyone who doesn’t like lumpia? I mean, my mom would say that my technique isn’t perfect but most people don’t know. Do you have any upcoming events at the store that you wanted to highlight? Virginia: Yes! We're hosting a special event this Saturday with a guest artist, Melody Hoffman from Latvia. And we're doing a tea tasting from Tea Hive! For more events, our Classes calendar is updated regularly. Virginia: I’m a social media junkie. To follow our crafty community on instagram: @gather_here. For my costume design/personal struggle: @vee.bee.jay. I tweet about craft, community, and the state of our nation as @gather_here. I met Helena Berbano a few years ago when I was volunteering with ASPIRE (Asian Sisters Participating in Reaching Excellence), and emceeing their Asian American Women in Leadership Conference. There was a volunteer potluck afterwards, and while I do remember Helena pretty well, I remember the food she brought even better. Seems like the Filipino way, right? The way to our hearts is through food? I’ve been incredibly impressed with Helena’s work (we’ll be doing a followup piece on more opportunities for civic engagement), so I figured she’d be perfect for our “Filipinos in Boston series! I’m from Boston, by way of Bronx, NY and Winter Park, FL. My mother and father are from Quezon City, and my grandparents are from Quezon City and Cavite. My dad’s side is Ilocano, and my mother’s side is Tagalog. During the day I work with grassroots groups on their civic action and electoral work. Off hours I’m involved in progressive political campaigns and nonprofits. I’m also a full time karaoke queen. Other hobbies include fiction and poetry writing, hiking, amateur baking, and binging Law and Order: SVU. What inspired you to be so civically engaged? What compelled me to get involved in civic action work is reality. I can’t pinpoint when it happened, but what I can describe it as...is that I faced a self-reckoning on the reality of access, power structures, and privilege. I confronted myself about the model minority myth, growing up “middle class”, and I reflected on my experiences as a 2nd generation Filipina who grew up in the South. The result of this reckoning was an unyielding passion and motivation to dismantle oppressive systems. I’ve been in the Greater Boston area for almost a decade. I’ve lived in Metro Boston for about 4 years. Food: The Beehive (South End), Avana Sushi (Chinatown), Eldo Cake House (Chinatown), Le's (Allston), Thinking Cup (Downtown), L’Espalier (Back Bay), and many more. Places: Jin Karaoke (Brighton), Lawn on D, Brighton Music Hall, Boston Public Garden, and the Museum of Science. Kare Kare hands down. It’s savory, funky, and decadent. I love making Chicken Adobo (writer's note: including a recipe we recently published on the blog). It’s simple, delicious, and magical. When I am having a bad day, the smell of toyo (soy sauce), suka (vinegar), bawang (garlic), and peppercorns is the most comforting thing. Also, sinangag (garlic rice) with adobo is NOT OPTIONAL.